Astarte Moon Inspirations a life closer to nature's rhythms : Happy World Animal Day! A dog wags it's tail with it's heart! Happy World Animal Day! 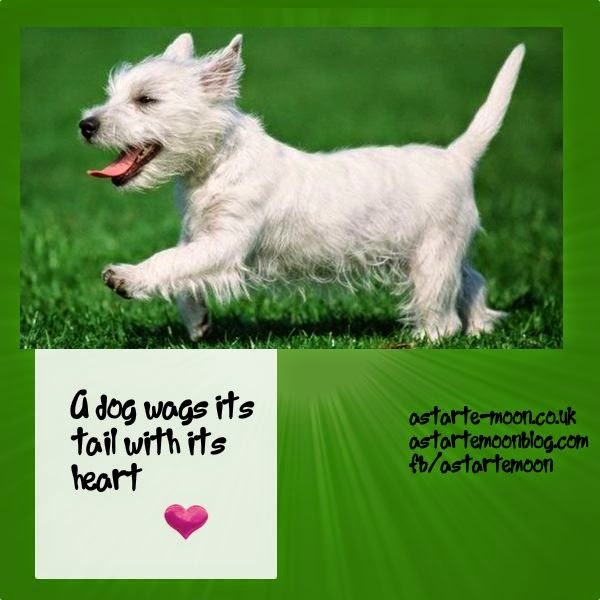 A dog wags it's tail with it's heart! A dog wags it's tail with it's heart! That's a lovely photo showing true happiness.